Dispensational Truth, What is it?, where did it come from?, why is it important, if it is at all?, where is it going in the pursuit of bible knowledge? From the things written on the subject these are some of the questions that have risen from the curious. The word “Dispensation” is a “Biblical Term”, found in 1 Cor. 9:17, Eph. 1:10, 3:2, Col. 1:25. The Greek word from which it is translated from is “οἰκονομία, oikonomia”, which is also translated “Stewardship” in Luke 16: 2-4. Strong’s Concordance defines “οἰκονομία, oikonomia”: the management of a household or of household affairs specifically, the management, oversight, administration, of other’s property the office of a manager or overseer, stewardship administration, dispensation. Since the word “dispensation” is a “Biblical Term” it is important and the topic is deserving of being rightly divided! The study of “Dispensations” falls into the area “Progressive Revelation”, (a Theological term) and thus directly related 2 Timothy 2:15, “Study to shew thyself approved unto God, a workman that needeth not to be ashamed, rightly dividing the word of truth.” The definition of “Progressive revelation” (Christianity), the concept that the sections of the Bible that were written later contain a fuller revelation of God compared to the earlier sections. However, the study on the Revelation from God will need to wait for another blog. Paul was given knowledge which no one knew about but was later revealed the other apostles by the Holy Spirit as stated in the verses above! Remember when Paul and Barnabas had no small dissension and disputation with those who were teaching in order to be saved they needed to be circumcised, Acts 15. It was Paul who the Holy Spirit used to reveal the mystery hidden noted by the phrase “my gospel,” in the verse above. 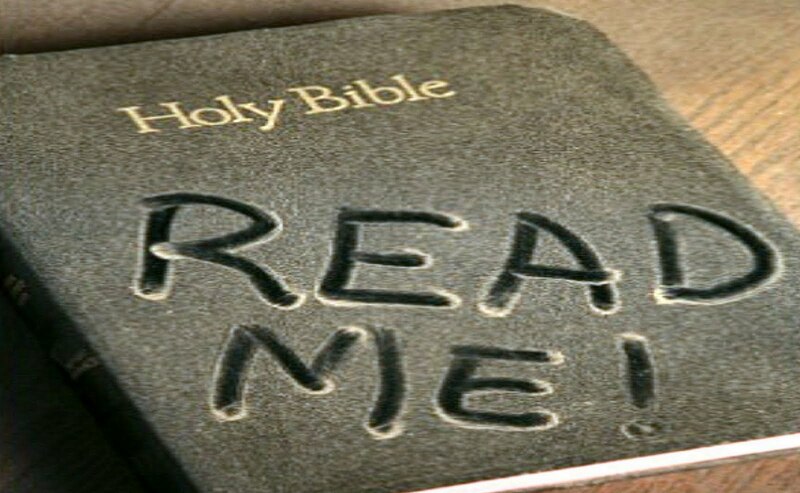 Paul took ownership of his stewardship calling it “my gospel”. Up until Paul came along the gospel of the Kingdom was still being preached to Israel. The nation of Israel have not received the promises that were made unto them even to this day, they have not due to their rejection of the Godhead. They rejected the Father in the Old Testament, rejected Jesus when he walked among them, and rejected the Holy Spirit at the stoning of Stephen in Acts 7. Yet, Jesus died for the sins of the whole world, (past, present, and future), was buried, and was raised from the dead the third day according to the scriptures, on the Day of Pentecost. Jesus went on to the building of his church, just like he said he would, moving the “οἰκονομία, oikonomia, dispensation” from salvation through the Law of Moses (works) to salvation by Grace through Faith alone revealed and preached by the apostle Paul, hidden from all since the world began. Jesus is doling out salvation Freely, (not conditioned on works,) in this dispensation to all who put their faith in the death, burial, and resurrection of the Lord Jesus Christ. (based on Faith alone). This dispensation, of Grace through Faith, will end with a spectacular climax named in Latin as the “Rapture”, translated in English, found in the Pauline writings of 1 Thessalonians 4:13-18 and 1 Corinthians 15:50-54. The Rapture is the catching away of the Church in the twinkling of an eye. THERE IS NO DATE SET FOR THIS EVENT! However, a person could state an assumption that it could happen on the Day of Pentecost like on the day the Church was empowered by the Holy Spirit, (Acts 2). Others have thought it may happen on the Feast of Trumpets, Tishri, the first month of the Jewish New Year, because of the phrase “the last trump”, (1 Cor. 15:52). Other hints are found by the phrase “come up hither” found in Revelation 4:1, 11:12. Both these passages are the raptures of the church (4:1) and tribulation saints (11:12), respectively. Yes, Two Resurrections, however, there’s a third, Matthew 27:50-53. “Jesus, when he had cried again with a loud voice, yielded up the ghost. And, behold, the veil of the temple was rent in twain from the top to the bottom; and the earth did quake, and the rocks rent; And the graves were opened; and many bodies of the saints which slept arose, And came out of the graves after his resurrection, and went into the holy city, and appeared unto many.” These three resurrections make what is called in Revelation 20:5-6 the First Resurrection, on such the second death has no power. Another hint about the Rapture of the Church has to do with her as the Bride of Christ being called by her husband to be. King Solomon wrote in The Song go Solomon in Chapter 2:10-13 “My beloved spake, and said unto me, Rise up, my love, my fair one, and come away. See his book “Rightly Dividing the Word of Truth”. These are the topics covered. All of these topics are important for anyone to know to rightly divide the word of God. Chapter 1 The Jew, The Gentile, and the Church. Chapter 2. The Seven Dispensations. Chapter 3. The Two Advents. Chapter 4. The Two Resurrections. Chapter 5. The Five Judgements. Chapter 6. Law and Grace. Chapter 7. The Believer’s Two Natures. Chapter 8. The Believer’s Standing and State. Chapter 9. Salvation and Rewards. Chapter 10. Believer’s and Professors. EPH. 2: 8-9 For by grace are ye saved through faith; and that not of yourselves: it is the gift of God: Not of works, lest any man should boast. James 2:18. Yea, a man may say, Thou hast faith, and I have works: shew me thy faith without thy works, and I will shew thee my faith by my works. Thus the discussion begins between, James and Paul over Abraham, Salvation by Law and works and Salvation by Grace through Faith, and perhaps the various dispensations they represent! Thus the answer to this dilemma lies in which dispensation you’re talking about and where do these verses apply, in the dispensation of the law or the dispensation Grace. Let it be said at the very beginning of this subject of Abraham that he is father of both dispensations of Grace and Law. Did Abraham receive Righteousness while under the Law or under Grace? Paul, answers that in Rom. 4:3. ” For what saith the scripture? Abraham believed God, and it was counted unto him for righteousness. cf. Gen. 15:5-6, “And he brought him forth abroad, and said, Look now toward heaven, and tell the stars, if thou be able to number them: and he said unto him, So shall thy seed be. And he believed in the Lord; and he counted it to him for righteousness.” Since, Abraham lived before the giving of the Law of Moses, he received his righteousness by believing what the Lord had said and promised, about his descendants numbering as the stars in heaven, thus by Grace through Faith. In the Dispensation of the “Age of Grace” or “Church Age” righteousness is received by believing the Gospel of the Lord Jesus Christ, 2 Cor. 5:21. “For he hath made him (Christ Jesus) to be sin for us, who knew no sin; that we might be made the righteousness of God in him. Both Paul and James’s account of Abraham’s life is true according to the dispensation in which James and Paul lived in! Abraham is the perfect example of Paul’s doctrine revealed to him after Christ Jesus appeared to him on the Damascus road, Acts 9:3-7, that salvation was by Grace through Faith, not of works, Eph. 2:8-9. I might add this was a mystery revealed only to Paul, Rom. 16:25. Abraham is also the perfect example of what James’ doctrine speaks of when he says “I’ll show you my faith by my works”, James 2:18, in the offering of Issac, Gen. 22:15-18. Abraham is the perfect example of both dispensations because he first believed what God had said then in years later he obeyed what God said had asked him to do. Gen. 15:5-6, 22:15-18, respectively! A third dispensation in our conversation, to start in very near future is the 70th week of Daniel’s 70 week prophecy in Dan. 9:24-27, Dan. 9:27 And he shall confirm the covenant with many for one week: and in the midst of the week he shall cause the sacrifice and the oblation to cease, and for the overspreading of abominations he shall make it desolate, even until the consummation, and that determined shall be poured upon the desolate. Known has the “Tribulation Period”, this 7 year period of time is when God pours out his wrath upon the earth and its occupants. This dispensation of the “Tribulation Period” is preceded by the “Rapture of the Church”, known as the “Pre-Tribulational Rapture”, in that discussion . The Rapture of the Church is the only event preceding the the tribulation from starting. When that happens people on earth will see in greater detail the orchestra begin to warm up with events happening in the Nation of Israel, something like we saw when Present Trump put our American Embassy in Jerusalem. Salvation during the “Tribulation Period” is no longer according to the Pauline gospel, by Grace through Faith, a free gift of God not of works. On the contrary, Works are very important as also is Faith. We read in the book of Revelation how martyrs died, Rev. 12:17, “And the dragon was wroth with the woman, and went to make war with the remnant of her seed, which keep the commandments of God, and have the testimony of Jesus Christ.” This verse showing the elements of their salvation works, keep the commandments of God and Faith, have the testimony of Jesus Christ. Works and Faith, like the Jews under the Law. Who were also able to lose their salvation. The taking the “Mark of Beast” was a sure way to doom yourself, worship his Image is likewise not a good thing. Rev. 16:2, ” And the first went, and poured out his vial upon the earth; and there fell a noisome and grievous sore upon the men which had the mark of the beast, and upon them which worshipped his image. Should make note at this time that there is a “Mid-Tribulational Rapture of the two witnesses, (Moses and Elijah), according to Rev. 11: 1-13, “And there was given me a reed like unto a rod: and the angel stood, saying, Rise, and measure the temple of God, and the altar, and them that worship therein. But the court which is without the temple leave out, and measure it not; for it is given unto the Gentiles: and the holy city shall they tread under foot forty and two months. And I will give power unto my two witnesses, and they shall prophesy a thousand two hundred and threescore days, clothed in sackcloth. These are the two olive trees, and the two candlesticks standing before the God of the earth. And if any man will hurt them, fire proceedeth out of their mouth, and devoureth their enemies: and if any man will hurt them, he must in this manner be killed. These have power to shut heaven, that it rain not in the days of their prophecy: and have power over waters to turn them to blood, and to smite the earth with all plagues, as often as they will. In this passage you are dealing with the Nation of Israel when the church, Body of Christ, has been removed from the earth and the Anti-Christ has made himself known. A new temple will be erected in Jerusalem and the two witness will be preaching. After 42 months the two witness will be put to death, in 3 days they will have their heads reconnected to their bodies for all to see and then raptured. How long of time between the Rapture of the Church and the Rapture of these Two Witnesses is not given. We are sure of this: it is at least 3.5 years between the two. AS stated earlier above concerning the book of Revelation, Both these passages are the raptures of the church (4:1) and tribulation saints (11:12), respectively. At this point I’d like to vert your attention for a moment to how your New Testament lays out for you these 3 Dispensations Doctrinally. 1. The Four Gospels. Jesus was born under the Law, Gal. 4:4-5 “But when the fulness of the time was come, God sent forth his Son, made of a woman, made under the law, To redeem them that were under the law, that we might receive the adoption of sons.” Thus the Law was in enforce up until the death of Christ, thus the Dispensation of the Law. 2. The Book of Acts is a transitional book to take you from Salvation by Works into Salvation by Grace through Faith, the Mystery Gospel, revealed by the Apostle Paul in 13 letters, Romans-Philemon, thus the Dispensation of the “Church Age”. 3. Hebrews is another transitional book to change the “οἰκονομία, oikonomia” dispensation to salvation by Faith and Works. James, in his book, staters it off writing to the twelve tribes, James 1:1 “James, a servant of God and of the Lord Jesus Christ, to the twelve tribes which are scattered abroad, greeting.” James was not writing to the Church, or Chrstian Jews. Thus the Books of the General Epistles, or Hebrew Epistles, as some have called them. James-Jude, are Tribulation books Doctrinally, while The Book of Revelation is the capstone, revealing the Tribulation in four accounts like the four Gospels reveal who Christ is. Matthew, Christ the King, Mark, Christ the Servant, Luke, Christ the Son of Man, and John, Christ the Son of God. What is meant by the phrase, “James-Jude, are Tribulation books Doctrinally”, is that these books aptly apply to the “Tribulation Period” readers. The Gospels aptly apply to jews under the Law and by application the Pauline writings aptly apply to the Church, the Body of Christ, doctrinally! All showing the 3 Dispensations of Law, Grace, and Tribulation, a Dispensational point of view to the scriptures. Under each, “οἰκονομία, oikonomia” dispensation, there are certain things for the Stewards to understand, what to do, or not do, for them to be faithful stewards and certain books are written to certain saints for that purpose. Some bible scholars have taken this to “Hyper” level, called “Hyper-Dispensationalism”, this is where various scripture verses come into play. 2 Timothy 3:16-17, “All scripture is given by inspiration of God, and is profitable for doctrine, for reproof, for correction, for instruction in righteousness: That the man of God may be perfect, throughly furnished unto all good works.” This verse shows there are many uses for the scriptures and scholars have said there are 3 Applications to the scriptures, Historical, Devotional, and Doctrinal. AS those of Berea we should do no less than they, Acts 17:11, These were more noble than those in Thessalonica, in that they received the word with all readiness of mind, and searched the scriptures daily, whether those things were so.” and so we aught to practice learning the scriptures as in, 2 Timothy 2:15, “Study to shew thyself approved unto God, a workman that needeth not to be ashamed, rightly dividing the word of truth.” Examples of “Hyper-Dispensationalist” give statements like, “Jesus wasn’t talking to you.” or “James wasn’t talking to you!” A Dispensationalist sounds more like “All scripture is written for you, but All scripture is NOT written for you to Do”. This line of thinking is much more consistent with 2 Timothy 3:16-17 and 2 Timothy 2:15. The Scripture of Matthew chapters 5-7, “The Sermon on the Mount” is not written for believers of the Pauline Doctrine of Salvation by Grace through Faith for us to prepare for. Christ hadn’t died yet! However, it is written for believers of the Pauline Doctrine for them to know and understand but not for them do! Unto this point what we know from the O.T. all that God has for the Nation of Israel is ready to take place. God promised them a literal kingdom, with a king on the throne of David, the literal King is present, and begins to deliver the constitution of this literal earthly Messianic Jewish kingdom. I will read this post and send you a real comment about it, and about the dispensation in which we are now.